War of the Gods Part 15. At Wonder Woman's request, the Dark Knight embarks on a search for a goblet essential to the survival of mankind...but it's in the hands of the evil Maxie Zeus. Written by Alan Grant, with art by Norm Breyfogle and Rick Burchett. 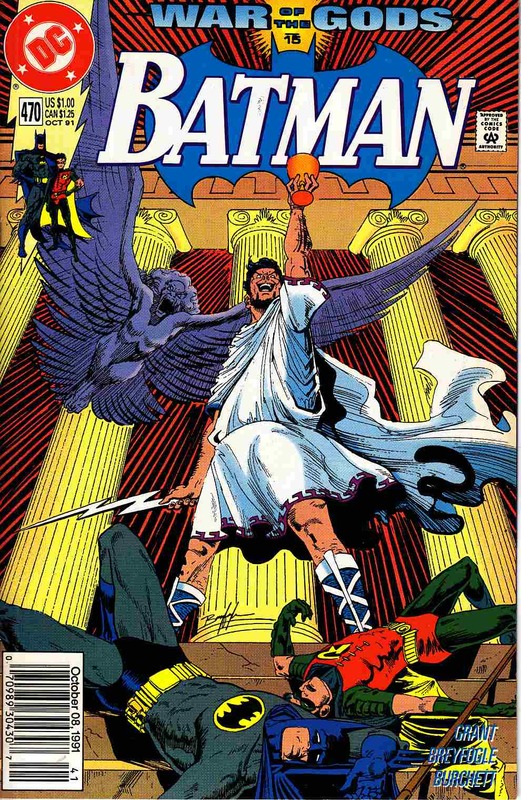 Cover by Breyfogle.